Bright and spacious family home in established River Oaks. Pride of ownership is evident throughout this over 3300 square foot home. 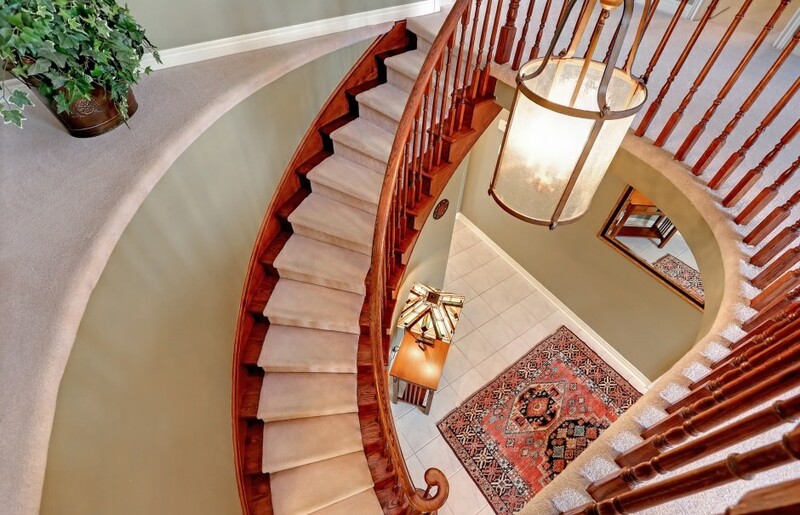 Enter to an expansive foyer with curved solid Oak staircase and oversized chandelier. A double coat closet and two-piece powder room are easily accessible, while the main level laundry room provides convenient access to the side yard and inside access to the large double car garage. The foyer opens to a formal living room with oak hardwood flooring and a large bay window dressed with California shutters. The living room flows into a separate dining room with charming wainscoting and an elegant central chandelier. A triple window with California shutters overlooks the rear yard. A classic kitchen layout provides for ample cabinetry, an additional pantry and a central island. The kitchen opens to an airy breakfast area with multiple windows with California shutters, as well as two double glass doors leading to the rear yard and deck. A sunken family room is quietly tucked away, accessible from the breakfast area and main foyer. Berber broadloom flooring and a gas fireplace with wood hearth warm the room. The incredibly spacious second level landing open to below, features an intriguing circular window. Double doors open to a substantial master bedroom. Windows with California shutters surround a sitting area, while there is ample room for a king sized bed. A walk-in closet and five-piece ensuite with Jacuzzi soaker tub complete the space. A secondary master bedroom with walk-in closet and five-piece ensuite is a rare find! Two additional bedrooms and a main five-piece bathroom provide ample space for the entire family. The fully fenced rear yard features a two-tiered composite deck, with built-in hot tub and natural gas line for a barbecue, perfect for entertaining. The lower level, with excellent ceiling height and three existing window wells, provides for over 1,000 square feet of potential additional living space. Excellent value for a solid family home!